With seating for up to five passengers and more than enough cargo room to handle a big cross-country trip out of Albany, the new Honda CR-V is a strong choice. Car and Driver has praised the new CR-V for its “supportive seats and a firm but supple ride,” while Edmunds likes the new model’s “surprising muscularity.” Discover the Honda CR-V at Rensselaer Honda today, and see what all the buzz is about and see how it outperforms other SUVs like the Nissan Rogue. The new Honda CR-V is a compact SUV that offers families from Troy, NY, and beyond, room to grow. It has a spacious interior, a stylish design and did we forget to mention that it is loaded with a slew of safety features? When your family is packed into your new CR-V for a weekend trip to Albany, you can rest assured that you’ll be safe on the road. 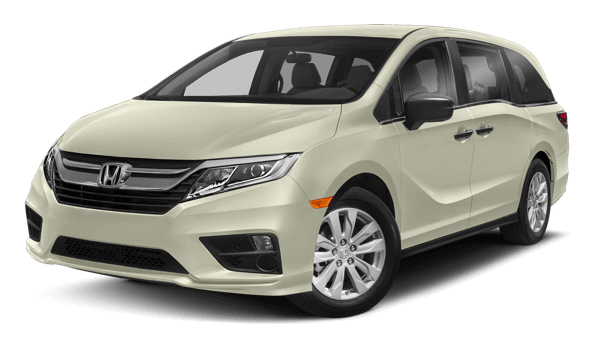 Learn more about this competitively priced Honda model below and let us know if you’re interested in a test drive! Some of these features can even activate themselves to keep you safe. This ranges from turning on the windshield wipers to activating your brakes in emergency stopping situations. When you think of a new Honda CR-V, think of relaxing in premium materials that are expertly-stitched. This new Honda CR-V can comfortably seat up to five people and has a cargo volume of up to almost 76 cubic feet. That means more room to store camping supplies or hiking equipment for that next big family outing. These technology features make driving more enjoyable but they also add a modern style element to your new Honda CR-V. The stylish nature of this Honda SUV radiates from its leather-trimmed interior to its modern exterior design, which boasts aggressive character lines, eye-catching dual chrome exhaust finishers and head-turning allure. Test Drive a New Honda CR-V Today! If you live around the Latham area and are interested in a new Honda CR-V, stop by our dealership. One of our friendly staff members will be more than happy to schedule you for a test drive. Getting in the driver’s seat and taking this new Honda SUV for a spin is an ideal way to see if it is the right fit for your lifestyle!